He once enthusiastically proclaimed evolution in his biology classes as a college professor. 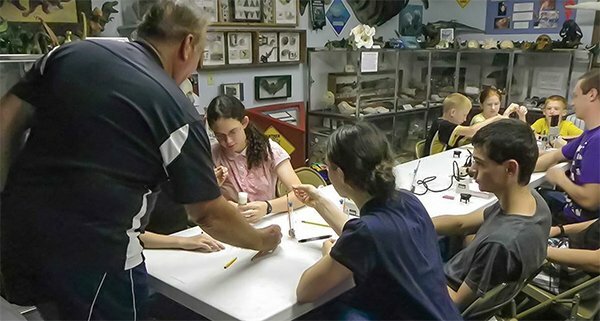 Now, Gary Parker (EdD biology) and his wife, Mary, proudly share creation with groups participating in programs at their Creation Adventures Museum in Arcadia, Florida. How did a science professor who once dismissed the Bible as a made-up storybook become an outspoken advocate of creation? Gary says it didn’t happen overnight. But that “old-fashioned” God had plans Gary didn’t understand. 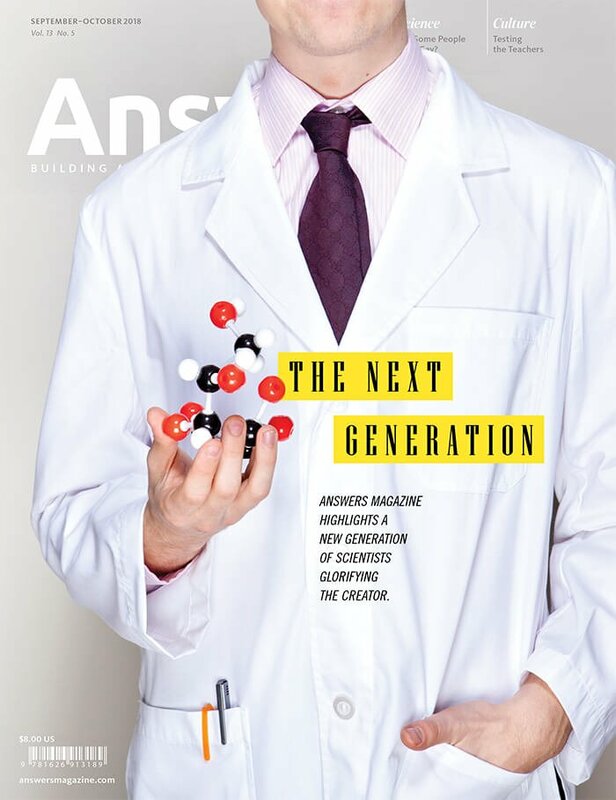 Because he had a degree in biology and several academic honors, a liberal Christian college hired him to teach biology even though he told them he was an evolutionist, not a Bible believer. A chemistry professor noticed that Gary and his wife didn’t attend church or any of the Christian events at the college, so he invited them to a weekly Bible study at his home. Gary faced a choice to either believe the experts, who must constantly revise their science to accommodate new discoveries, or believe God, who created everything, documented what he did, and has always remained the same. After he received Jesus as his Savior, Gary’s love for Darwin transformed into a love for Christ. Encouraged by Mary and a competitive fellowship award from the National Science Foundation, Gary went beyond his master’s degree and earned a doctorate, specializing in biology and geology, with an emphasis on paleontology, at Ball State University. 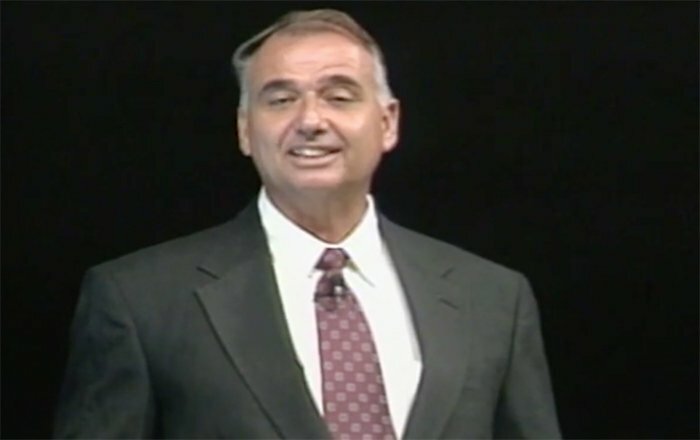 For 35 years with the Institute for Creation Research (ICR), Gary participated in creation-versus-evolution debates at universities around the world and taught biology and paleontology classes at Christian colleges. At the same time, Mary began to develop displays and hands-on workshops for ICR’s budding museum. Both relished personal Q&A with young people to contrast Darwin’s errors with evidence for a biblical creation. And they wanted to do even more. Dr. Parker helps students dissect modern animals so they will better understand the similar designs in their related fossils (many displayed on the walls in the background). While they were helping another creationist group with a fossil-hunting canoe trip on Peace River, a friend and his 10-year-old daughter discovered what turned out to be the fossil remains of a baby mammoth and two adults. Mary’s notes and drawings are the official record of the excavation, which took over three years of digging in low water to complete. Replicas of the original fossils grace the museum’s entry display. Why dig for fossils? “I love to watch expressions on young and old as I explain to groups preparing for a dig that each fossil they find is a missionary—one you can use to tell the world about Jesus Christ. For the less adventurous museum visitor, talks and seminars are available. Topics include dinosaurs and the Bible, DNA, the Grand Canyon, and many more. Multiple homeschool classes use the museum’s equipment, supplies, and fossils collected from five continents. The classes also spend time together studying any of the seventeen creation science books the Parkers have written. They cover many topics, including fossils, biology, earth science, dinosaurs, ecology, and more. Gary and Mary are always up for an adventure. While still working with ICR, Gary led more than forty hiking trips to the Grand Canyon and two raft trips. He and Mary also led scuba and snorkeling trips in the Florida Keys. One summer, they even took two college students on a 10,000-mile motorhome workshop tour from Florida to California, around Canada, and back to Florida. Indeed, these experiences helped lead Gary and Mary to start their museum, where they could share the truth about creation one-on-one, especially with young people. Gary believes he will always have a passion to share Genesis with everyone he encounters.